Angus Lane runs east to west, from Calhoun Drive almost reaching Weaver Street, northeast of Greenwich town center in historic Greenwich, Connecticut. Angus Lane is in the 06831 zip code. The community on Angus Lane has a distinctly nautical feel based on its close proximity to Long Island Sound, which also plays a prominent role in the choices of recreational activities for local residents. It’s the residents that make the Greenwich villages so interesting and desirable. Its widely know that many wealth resident such as hedge fund managers, business executives and celebrities make their home in Greenwich, but there is also a solid base of middle-class residents as well. 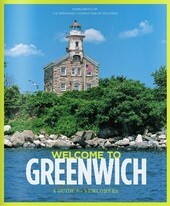 Greenwich is composed of several small villages, each with their own character and charm. The city of Greenwich, home to Angus Lane, is in Fairfield County, Connecticut. This beautiful, town, known as “The Gateway to New England”, experienced a metamorphosis in the twentieth century when it went from being a rural farming and fishing community to a sophisticated suburban area. Greenwich became home to businessmen and their families seeking a more peaceful life in the country. Greenwich soon became a bedroom community for New Yorkers. Some of the larger estates were divided into four-acre plots to accommodate today’s luxury mansions. At the time of the 2010 census, Greenwich had a population of 61,171 residents. Some neighborhood in Greenwich are: Old Greenwich, Cos Cob, Riverside, Belle Haven, Pemberwick, and Byram. Greenwich has a total area of 67 square miles with almost 48 square miles being land and a little more than 19 square miles of water. Some truly beautiful homes can be found in the area near the Angus Lane. Elegant homes on lots that have been impeccably landscaped are typical. 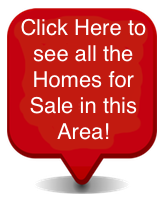 Condominiums, townhomes, and single-family homes are the kind of properties available in the real estate market near Angus Lane. The average listing price for a condo is $1,478,394 but prices can go to $4,995,000. The average listing price for a single-family home is about $4,183,933 but prices can go upward to approximately $49,895,000 for homes on expansive acreage, on the waterfront, or with exceptional amenities. Homes in the area of the Angus Lane come in a variety of sizes and architectural styles, many with distinctive New England charm such as stone work and wooden shingles. Contact us today with any questions or to schedule a tour of any or our exceptional properties in the area of the Angus Lane, in Greenwich, Connecticut or any neighboring community.